Now that 2011 is here, we’re on a serious money-saving crusade. In just a couple of weeks we’re going to be a one-income family, which is a scary and exhilarating prospect. As you can probably imagine, I’m looking for any clever trick I can find to reduce our expenses and lower our spending. I wanted to share with some of the ideas I’m already using, and some others that I probably will start using, to save money. 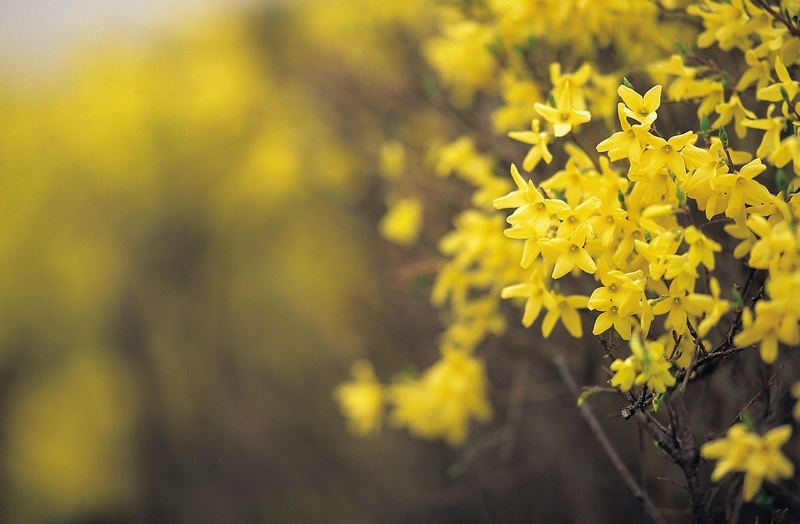 And, before we begin, I know that picture of forsythia doesn’t have anything at all to do with saving money, but, it’s January. And I needed a cheery boost, which means maybe you do too! You know all those emails you get from J.Crew, PacSun and L.L. Bean letting know that “TODAY ONLY: 75% OFF!”? They just make you spend money. Avoid the temptation, and get off those mailing lists. Our new place in Detroit doesn’t have a washing machine. Which means we had been going to the laundromat once or twice a week to do laundry. Not only was this time consuming and annoying (especially lugging laundry around during a Michigan winter) it was also expensive. We were spending around $8.50 per trip on laundry. At one trip per week, this was $34 per month. On laundry. According to our calculations, we’ll have earned our money back in less than six months with this thing. We’ve named her Tubby, and she works great. We put her in our basement and hooked her up to the sink down there. But she’s so small, you could easily keep her in a kitchen or a closet and wheel her out when you need her. So after six months, Tubby will help us save money every month. 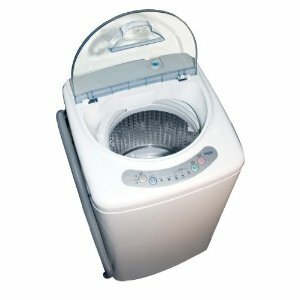 If you live in an apartment without your own washer, investing in a portable washing machine would be a great way to save money (as well as time). If you asked me what my biggest spending weakness was, I could tell you in one word: Etsy. I love Etsy from the bottom of my heart. My favorites page has almost 450 items listed. Whatever your spending problem is, try to cut it out of your life. If you’re addicted to shoes, don’t go to the mall. If you have a problem buying stuff on Amazon, avoid the site. This takes work, and self discipline. Trust me, I’m there. While it’s important to splurge once in a while, don’t make it a regular occurrence. There’s nothing worse than wanting to do something fun, and not having any idea of what you can do on the cheap. So what happens? You end up spending $30 at the movie theater for lack of anything better to do. Before that fateful day gets here (which, surely, it will) have a backup plan. Create a list, right now, of fun things you can do on the cheap, or even for free, so you’re not tempted to go splurge when you’re bored and out of ideas. For instance, we have a membership to the Detroit Institute of Art, which is 2 miles away. This is a free fun thing for us to do. This weekend, the Detroit Historical Museum has free admission (savings: $12). We’ll be there bright and early. Check your local community calender, newspaper or local magazine. They always have lists of free events. Find out what day of the month your local museums has a “free” day. Learn a new craft, like making wine bottle glasses or origami. Hit up your local library for free community events. Find out what activities are available at your local state park. You likely live within miles of hiking and biking trails. Picnic, anyone? Want to save money on your cable TV, internet, or phone service? And you know what the customer service rep will do practically every single time? They’ll trip over themselves to get you to stay. Suddenly, rates will fall by 25%-50% for another year as they try to talk you in to sticking it out. Do any of you have any clever or unique tricks you use to save money? Since we’re watching our dimes right now, I’d love to hear them, and I’m sure other readers would as well! We have been a one income family for the last few years. I love staying at home but we had to go through the same transition as you are. We canceled our cable service and signed up for Netflix. We pay about $9 a month and get unlimited streaming tv and movies versus the $150 a month we were paying for cable. I also reduced our grocery bill by about $30 a week without compromising our meals (it’s really hard to eat healthy food on a budget) by making weekly menus, buying local and in season foods, and using what we have in the pantry to structure the meals. We have a large garden and utilize the farmer’s market and the freezer and canning to have cheaper, local, and fresh food year round. I also started making all of our own bread, a bag of flour is way cheaper and goes a lot further than buying bread at the store. It’s amazing what you can learn to do without! We were spending $50 a month on bottle water. Like your washing machine, we invested in a Berkey water filter. http://www.directive21.com was the best deal I found when we bought ours. They come in different sizes for your family needs. We got the largest one which was $317 so it paid for itself in 6 months and is now saving us money each month AND our water is safer for us as well. One other thing we did was switch to free banking. That fee the bank charges of $6.50 or so a month adds up when most banks have a free checking option. When spouse and I moved to the desert, I *knew* I wanted to line-dry everything… but without a washer/dryer and hating laundromats it didn’t seem like there were any good options (there are two “laundromats” in this town, 2 washers and dryers each – always a line!) Anyway, we got the WonderWash thing – http://www.laundry-alternative.com/wonderwash.htm – and while it’s fantastic (except draining takes forever, so it’s easier to just pour off the excess water and scum layer), the wringing by hand was a problem. I now have a mop wringer to help with that, but the “laundry bot” has been a great way to save on money! Also, no tv. At all. We can get most of the stuff we like online, anyway. Another way is to have some king of passive income. Which I use this site for. Coupons. My sister is a coupon queen cutting them out of newspapers every week. I’ve learned that I can use store coupons such as target coupons with a manufacture coupon for the same item. Hip2save.com is a great site that posts all the coupons from the newspapers every week and offers for less. It takes a little time but is so exciting when you see how much you’ve saved at the bottom of your receipt. http://www.savealoonie.com has helped me save lots of money!